Unlock codes for any Sidekick phone or tablet. Method used by Sidekick and the network carriers. Safe and permanent; this method maintains the warranty. How to unlock my Sidekick phone with doctorSIM? Once you have requested your unlock code through doctorSIM, you will receive an e-mail with instructions on how to unlock your Sidekick device. Just type in the unlock code included with the detailed instructions and your phone or tablet will be unlocked in a matter of seconds! No technical knowledge or software downloads required. Do I need to know the exact model of my Sidekick to unlock it? You don't need to specify the exact model of your Sidekick because the unlocking instructions are the same for all models. All that changes is the unlock code which is dependent upon the IMEI number (unique identifier) of each cell phone. If I unlock my Sidekick can I use it with any network carrier? Yes. Once unlocked you can use your phone with any compatible network carrier in the world. Delivery times for unlocking Sidekick devices depend on the country and the network provider the phone is locked to. We will inform you of the exact delivery time when you provide those details. However, it is possible to receive your unlock code prior to the specified delivery date and even on weekends. How many attempts do I have to unlock my Sidekick? 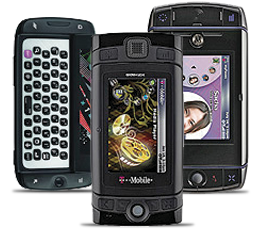 Sidekick phones have unlimited unlocking attempts so you don't need to worry about accidentally typing the code incorrectly. However, we recommend avoiding cheap and untrustworthy online unlocking service providers because they sell codes which don't work and could easily damage your Sidekick. What happens if my phone's IMEI has been reported or on the blacklist? If your Sidekick has been reported stolen, lost or due to outstanding bills, you should contact the network carrier to which the phone is locked to remove the blocking and continue using your phone normally. Once you've done that, doctorSIM will gladly unlock your Sidekick device. Yes, unlocking your phone with doctorSIM is permanent. You can also restore your phone to factory settings and download all official software updates without fear of your Sidekick locking again. On the rare occasions your phone may prompt you to re-enter the unlock code, simply follow our instructions again as they will always be valid. doctorSIM has been fully dedicated to the cell phone industry for over 10 years. We have processed more than 5 million unlockings for individual customers, multinationals, network carriers, and phone manufacturers. Our excellent customer support team is available to assist you by telephone, chat, and e-mail. The safest way to unlock your Sidekick. Fastest turnaround times in the business. You will be able to use your Sidekick with any carrier. Do you own a website? Sign up for our affiliate program. Permanent unlocking services valid for all models. Earn extra money as a doctorSIM distributor. Cell phone unlocking experts available to assist you.